Well, this is a downer: Prozac, a drug taken by millions of folks every day to help them cope with chronic depression and anxiety, has been shown to allow for antibiotic resistance in dangerous strains of bacteria, under laboratory conditions. 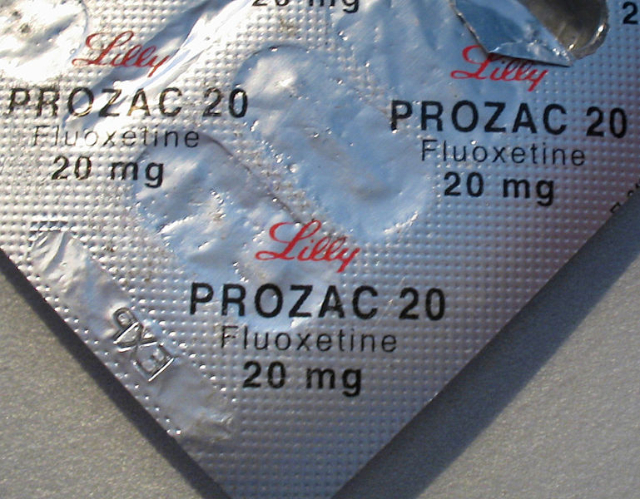 Prozac is the commercial name for a selective serotonin reuptake inhibitor called Fluoxetine. That Fluoxetine could be responsible for making bacterias such as Escherichia coli able to laugh off antibiotics is new. Strangely, the notion that Fluoxetine has the potential to also kill off bacteria, isn't. Scientists held hopes that the drug, along with other SSRIs, might be able to be leveraged in new antimicrobial treatments. According to a recently released report, this could all be shot to hell by the fact that tons of SSRIs, Fluoxetine included, are released into our environment through our sewage systems on a daily basis. Bacteria can learn to defeat antibiotics in lots of different ways. And a major reason why antibiotic resistance is so concerning is that many of their tricks can disable a whole class of antibiotics at the same time. Fluoxetine might affect us differently than antibiotics, but it seems to kill bacteria in a similar way to the antibiotics tested in the study, making cross-resistance more likely. When Guo and his team studied the genetics of E. coli exposed to fluoxetine, they found mutations already known to help bacteria resist some antibiotics. These mutations allow the bacteria to essentially spit out a drug before it kills them. As Gizmodo points out, the authors of the study have admitted that while they know that SSRIs being pumped into the environment could lead to the defeat of potential antibiotic alternatives, they have no idea what the overall ramifications of losing what could be a weapon against antibiotic-resistant infections could mean for us in the long run. That said, with the way things have been going in the world today, we might not need to worry about it: rapidly changing weather patterns, elected lunatics with access to nuclear weapons, and civil unrest have just as good a chance as microbes of doing us all in.